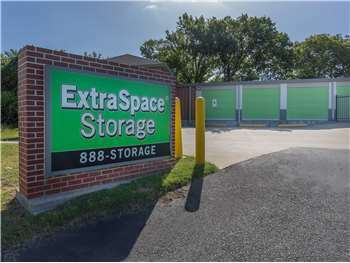 Located on S Bowie Dr just north of I-20, Extra Space Storage serves residents of Weatherford, Hudson Oaks, Brock Junction, Annetta, Willow Park, and more. Locals will recognize our facility just north of QuikTrip. 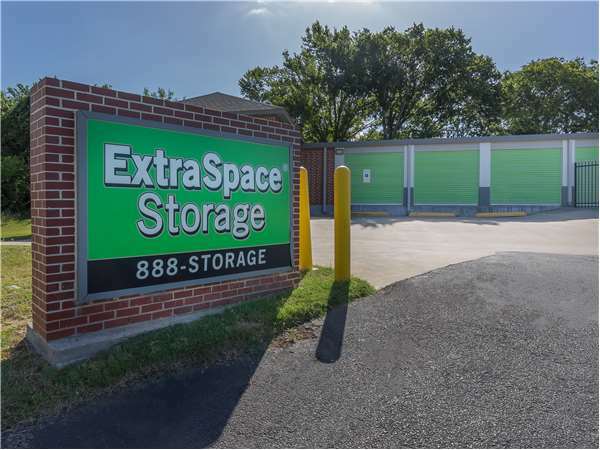 Extra Space Storage on S Bowie Dr can accommodate residential and commercial storage needs in Weatherford with a variety of storage units, climate-controlled storage, drive-up access, and more! No matter what you plan to store, our Weatherford storage facility has the space for you! We have unit sizes from 5x5 to 20x20 with features like drive-up access, first-floor access, and more. To ensure the safety of our customers and their belongings, our S Bowie Dr storage facility is equipped with advanced security measures like 24-hour video surveillance and electronic gate access. By maintaining a storage environment between 55 and 80 degrees, climate-controlled units provide year-round protection from extreme heat and cold. Units with climate control come in sizes 5x5 to 10x25. Available in sizes 5x7 to 20x20, drive-up storage units provide the ultimate convenience. Simply drive your vehicle up to your unit to unload and load belongings. Drive-up units in sizes 10x20 to 20x20 can also be used to store vehicles like cars, motorcycles, and small recreational vehicles. With a well-maintained, secure, clean facility and a friendly, professional staff dedicated to delivering exceptional service, it's easy to see why so many people choose Extra Space Storage for their storage needs. We truly care about your satisfaction, and we strive to ensure you have a great self storage experience. Contact us today to reserve a storage unit in Weatherford! This is a great place to store your extra stuff. It's a handy place, right off I 20 just west of Weatherford. And pleasant service. What else could one ask for? I Loved our experience! we had moved from Missouri and was overwhelmed, and tired, but with all of the staff's help, it was less stress and we were able to move and store our furniture with no problems. I had a wonderful experience with my husband. They we're extremely friendly and outgoing and they took us to our storage unit on a gocart which was super fun! The information she gave us was very viable and informative and made sure that we understood clearly what she was saying to us. Very fun and nice! I would highly recommend them again! Drive south on N Bowie Dr. Pass Hall Jr High School and continue straight. Our facility will be on the left after Dirkson St.
Drive north on Old Dennis Rd. Cross I-20 and continue onto W Park Ave/S Bowie Dr. Our facility will be on the right after Cutters Crossing. Drive southwest on I-20. Take exit 406 and keep right. Turn right onto W Park Ave/S Bowie Dr. Our facility will be on the right after Cutters Crossing. Drive east on I-20. Take exit 406 and turn left onto Old Dennis Rd/W Park Ave. Continue onto S Bowie Dr. Our facility will be on the right after Cutters Crossing.